A rhinoplasty is an aesthetic treatment used to change the look and shape of the nose. Furthermore, it may help repair a functional or breathing issue in many patients. New Orleans, LA plastic surgeon Dr. Jules Walters is an experienced cosmetic nose and facial surgeon who performs rhinoplasty surgery, taking a conservative approach to allow for the softest and most natural results. Although rhinoplasty consists of delicate changes, results tend to be beautiful and dramatic. Cosmetic nose surgery at Walters Plastic Surgery can be recommended to make a nose appear smaller in size or change a nose that is misshapen, protrudes out, is too large or wide, or has a bump on top. The objective is to allow for a more aesthetically appealing nose that meets your cosmetic desires and functions well. Adults and teenagers over 16 years of age are candidates for cosmetic nose surgery. If you find yourself frustrated with the appearance of your nose and have distinct issues you hope to improve, enhance, or correct, this procedure may be the recommended course of action. It's very important that expectations are understood, as your nose and facial profile will be altered. Furthermore, facial growth and maturity should also be complete. This will be addressed during your consultation, even more so for adolescents. "overall experience and results were amazing! - This was my third rhinoplasty. The first two were done by a different doctor and I was just not satisfied AT ALL with the outcome. I researched plenty of other doctors around the New Orleans area and found great reviews about Dr. Walters. When I came in for my consultation, I was greeted with the friendliest staff. They make you feel right at home! After speaking with Dr. Walters I could tell he completely understood what I was looking for and how he could help. I love my results and finally feel secure with how I look." "SO WORTH THE WAIT!!!! - I've wanted rhinoplasty for an extremely long time but I could never find a plastic surgeon I was ever fully comfortable with. Dr. Walters has the best bedside manner. He listened my concerns, gave me suggestions and what to expect during my entire process. I am more than pleased with the end results and everyone tells me how great my nose looks. THANK YOU DR. WALTERS YOU ARE THE BEST!!!" "I've wanted rhinoplasty for an extremely long time but I could never find a plastic surgeon I was ever fully comfortable with. Dr. Walters has the best bedside manner. He listened my concerns, gave me suggestions and what to expect during my entire process. I am more than pleased with the end results and everyone tells me how great my nose looks. THANK YOU DR. WALTERS YOU ARE THE BEST!!!" "This was my third rhinoplasty. The first two were done by a different doctor and I was just not satisfied AT ALL with the outcome. I researched plenty of other doctors around the New Orleans area and found great reviews about Dr. Walters. When I came in for my consultation, I was greeted with the friendliest staff. They make you feel right at home! After speaking with Dr. Walters I could tell he completely understood what I was looking for and how he could help. I love my..."
Nose surgery is performed while the patient is under sedation, such as general anesthesia, and is in most cases an outpatient procedure. This treatment offers different surgical methods depending on the unique cosmetic goals of the patient. Dr. Walters performs rhinoplasty using either an open or closed (endonasal) approach. The objective during the procedure is to decrease or eliminate excess bone, cartilage, and tissue, or to build and increase cartilage if necessary for reconstruction. The nasal features are repositioned and the skin is draped over the newly structured framework. Stitches are positioned either on the inside portion of the nose or within the natural external fold. Upon completion of your cosmetic nose surgery, you will rest comfortably in the recovery section, and then our nurses will release you to recover at home. The nose and the surrounding area will be swollen, bruised, and sore for the first few days. In almost all patients, there is some discoloration beneath the eyes in addition to the nose. Consistently using cold compresses and inflammatory medications can assist with these effects. Your post-op check-up with Dr. Walters will be scheduled 1 week after surgery to assess your healing progress. It takes around 2 – 4 weeks to look normal following nose surgery. Within this timeframe, strenuous exertion should be avoided. If you're dissatisfied with the size and shape of your nose or if you suffer from breathing problems, nose surgery may help. We welcome you to get in touch with Dr. Jules Walters in New Orleans, LA and schedule a consultation. 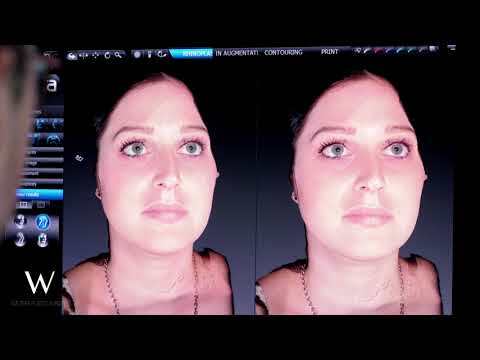 We provide advanced Vectra 3D imaging with each consultation to allow you the benefit of seeing how your new nose shape could improve your appearance. Nose surgery is a popular and successful cosmetic procedure with very high success rates.